Quick Access for Google Drive, which uses machine learning to intelligently predict the files you need, before you’ve even searched for them. Originally available on the Drive Android app, and later iOS, we’re now launching Quick Access on the web. 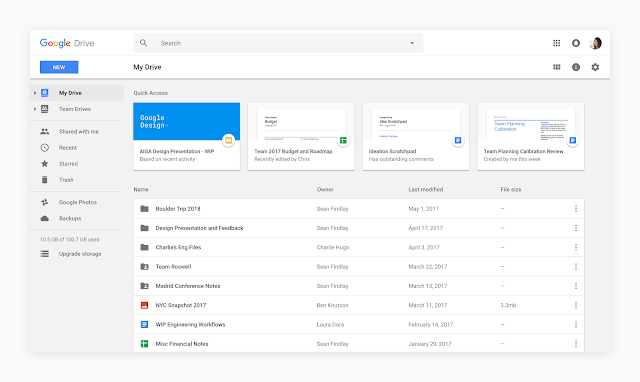 In September 2016, we launched Quick Access for Google Drive, which uses machine learning to intelligently predict the files you need, before you’ve even searched for them. Originally available on the Drive Android app, and later iOS, we’re now launching Quick Access on the web.